With the cold weather and the common flu not letting up in Toronto, making sure my immune system is running in top- notch shape is essential to staying healthy through the winter months. 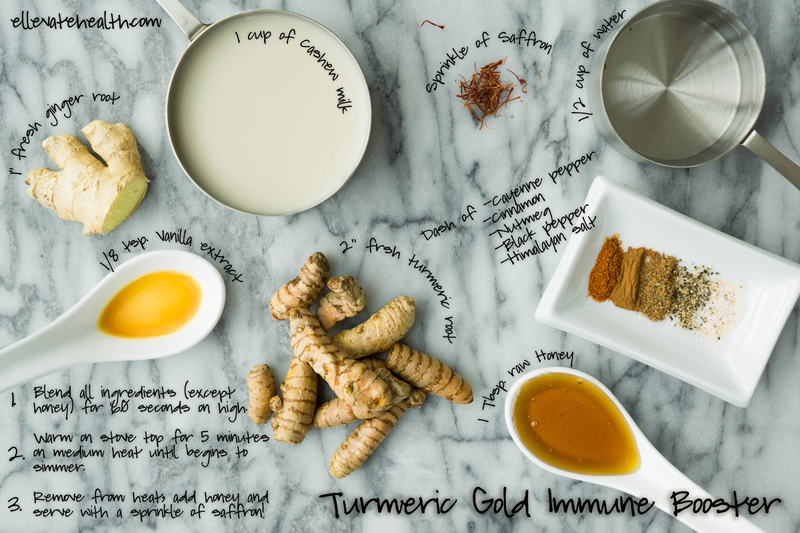 A common ingredient I pick up at the grocery store to help me with this is good old turmeric root, and I try to incorporate it where I can. Unfortunately, in our society, we don’t really value turmeric and it’s medicinal properties, unlike in Ayurvedic and traditional Chinese practices. But we really should! The key powerhouse component of Turmeric is known is known as Curcumin. 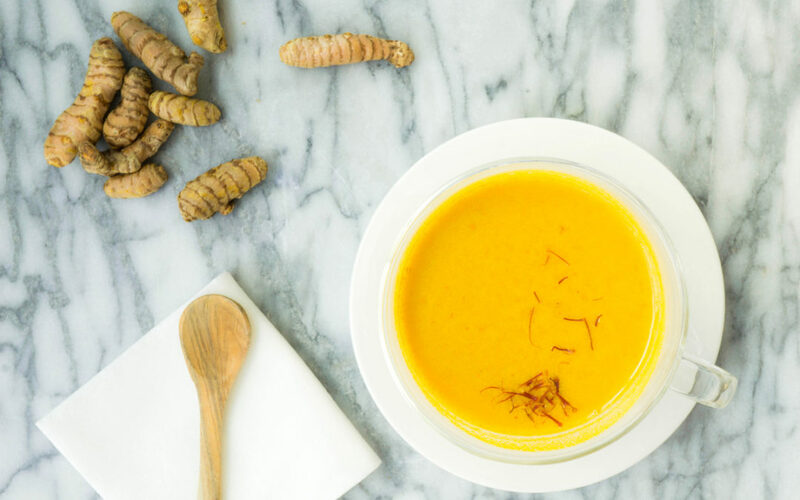 Curcumin gives Turmeric it’s yellowish-orange pigment and is the is the active ingredient behind this nutritional powerhouse (see below for benefits). 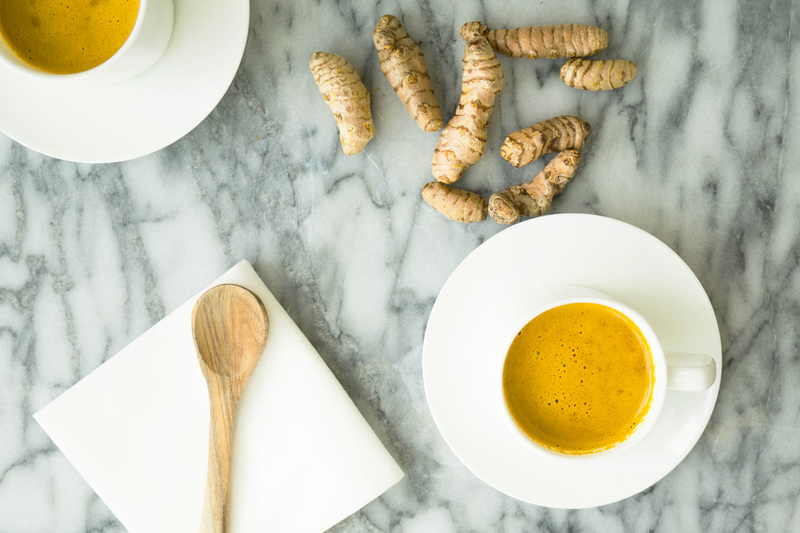 Turmeric – Curcumin, the active ingredient in turmeric, is antiviral, antifungal, high in antioxidants and can help protect against cancer. 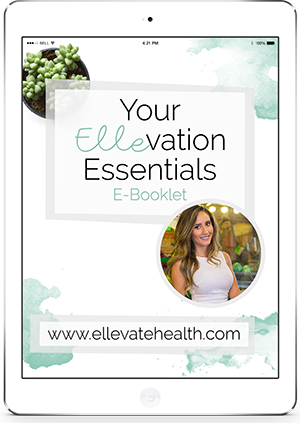 In addition, it is extremely anti-inflammatory which is not only wonderful for joint pain or tissue damage but combats internal inflammation which may be hindering the immune system. Saffron – High in Vitamin C, it stimulates the immune system’s production of white blood cells. Honey – Until the invention of modern antibiotics, honey was used as a way to treat infection in many cultures. Numerous studies have shown that honey can help prevent harmful bacteria from reproducing and spreading. 1. 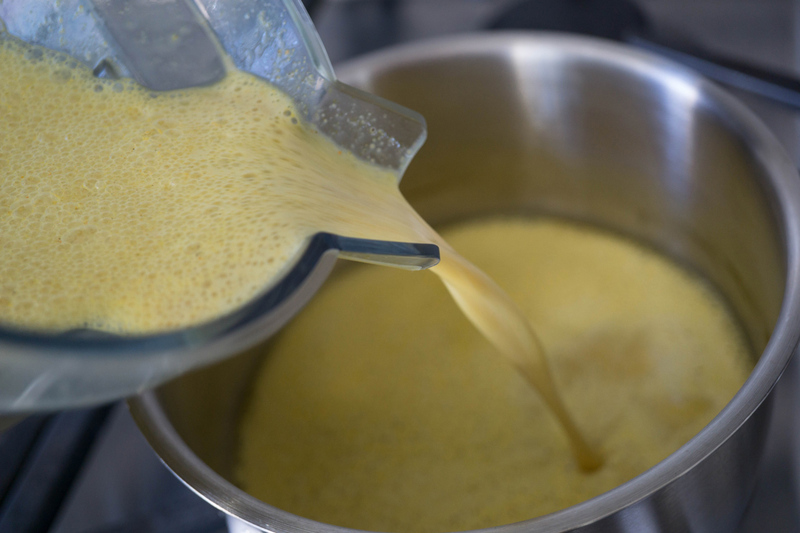 Blend all ingredients (except honey) for 60 seconds on high. 2. Warm on stove top for 5 minutes on medium heat until begins to simmer. 3. Remove from heat, allow to cool a bit. 5. Serve with a sprinkle of saffron!